How important are meditation and yoga in de-stressing our stressful lives? 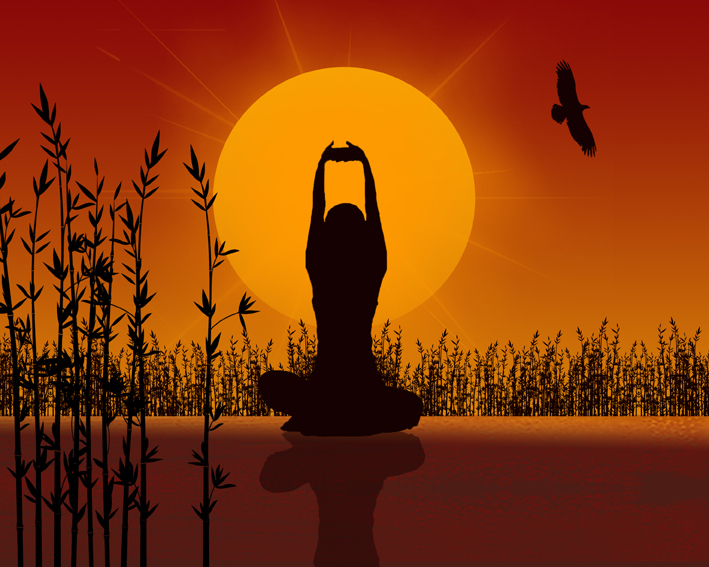 Right now your mantra on meditation might be ‘Ummm.’ After all, how can you find time to even consider fitting meditation or yoga into your life when there are markets to watch, deals to be done, functions to attend, families to feed and bills to be paid? Like investing in airlines, it’s just not a good idea. Or is it? The irony is that the very people who can gain the most from meditation, yoga and other equally beneficial mindfulness techniques are the people who think they don’t have time. And even if you have plenty of time on your hands, that can be a source of stress too. Either way, if you have time to invest in markets you have time to invest in yourself. It’s a well known fact that working harder doesn’t necessarily mean achieving more. In fact, as your mind and body tire, productivity can drop as fast as banks drop people in a financial crisis. Take time out to add a small dose of yoga or meditation (or both) to your weekly work regime and you’ll soon see the difference. It’s rejuvenating, invigorating; it’s like recharging your batteries. With renewed focus, tasks you’ve doggedly tried to see through become easier. Projects you laboured on day and night suddenly become clearer. Why? Because with regular yoga or meditation your mind becomes calmer and more centred. Jobs that took two hours take one. Things that used to wind you up suddenly don’t. You sleep better, work better, play better. Plenty of highly successful people use some form of relaxation technique to enhance their daily lives and improve performance. Ray Dalio, seriously busy and highly successful investment banker meditates. Ellen DeGeneres – does Ellen ever look stressed? Clint Eastwood, now there’s a man who should know. Rick Goings, CEO of Tupperware meditates daily. Hugh Jackman, yes, now we know how one of the all-round great actors manages to stay one of the all-round great guys. David Lynch, Sir Paul McCartney, Oprah Winfrey; the list goes on and on. If you want to join a regular yoga class, contact your local gym or yoga centre. If you’d prefer to go it alone and try some yoga or meditation at home or at your desk, there are endless yoga classes and meditation apps online. Try it, it may well be the most refreshing, stress-beating thing you do this year.